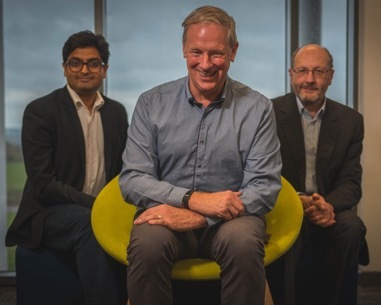 The SETsquared Partnership, the global no.1 business incubation and start-up growth acceleration network, comprising five research-intensive universities: Exeter, Bath, Southampton, Bristol and Surrey, will contribute £26.9 billion to the UK economy by 2030, independent research undertaken by Warwick Economics and Development (WECD) has found. SETsquared operates five incubators on, or near, each partner university’s campus. SETsquared Exeter operates programmes at two prime locations on either side of Exeter: the University of Exeter Innovation Centre and the Exeter Science Park. The centres have dedicated business and technology support staff, experts in residence, business mentors and a range of events, workshops and seminars. One of the incubator’s local success stories is Exeter Science Park based Milkalyser. Milkalyser is a spin out of eCow Ltd, which was founded in 2007 to develop technology that monitors the health and productivity of dairy cows. From eCow came Milkalyser, a new way to detect the ovulation and pregnancy in dairy cows. With the support of SETsquared, Milkalyser has raised £1 million to develop their dairy cow management goals, including £500,000 funding from Mercia Fund Management, an early stage technology investor and another £500,000 grant from Innovate UK.